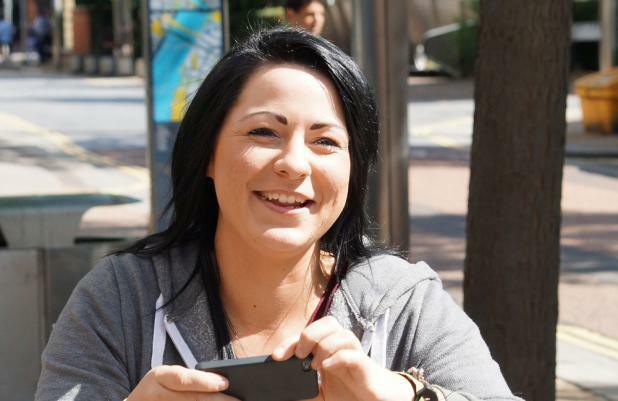 Lucy Spraggan: No Illuminati material – Ila el amam! November 13, 2012 – Lucy Spraggan, the 21-year-old singer/songwriter from Cambridge – I have to admit that I’ve been rooting for her since the minute I came across her X Factor audition video on YouTube. I haven’t been rooting for her to win the popularity contest that shapes young people to become a tool of the Zionist-controlled entertainment industry; I wished that whatever would happen to make her pull out of the big mistake that she made by entering the competition. Someone that pure simply shouldn’t be fed to the greedy moguls. I’ve followed her through the first weeks of the UK’s so-called talent show and she didn’t cease to amaze me. Contrary to fellow contestants such as Jade Ellis who was turned into a look-a-like of Illuminati princess Rihanna before being voted off, Spraggan stayed true to her own look, music, guitar and most of all to her simply brilliant and brilliantly simple lyrics. Subsequently, during the 4th week of the live shows, it was announced that she was ordered to pull out of that week’s show on doctor’s orders over ill health. She was given a free pass straight to the next live shows, but when they arrived it turned out that she was forced to pull out of the X Factor for health reasons as per November 4. Let’s presume that Spraggan was really ill and not feeling well enough to perform and that her leaving the competition had nothing to do with powers within the entertainment industry realizing themselves that she won’t fit in their agenda – still this illness may have come to her rescue big time. Not many people have the natural gift of being the storyteller that she is in combination with the great voice that she also is. Of those people, very few are willing to forsake fame and material wealth in order to stay true to who they are and in order to become a – likely less famous and wealthy – revolutionary artist instead; an artist who is aware of what’s really happening in the world and who uses their talent to make others aware and active. Lucy Spraggan has it in her to become one of them, and I wholeheartedly hope she will make the right choices. Will Europe’s ticking time bomb bomb Libya again? Where does “IS” get its brand new pickup trucks from?